BAYARENA – Leverkusen v Bayern – Bayer Leverkusen came back from a 1-0 half-time deficit to defeat Bayern München 3-1 and take another step towards European qualification. Leon Goretzka put the Bavarians in front, but second-half goals to Leon Bailey, Kevin Volland and Lucas Alario gave the hosts all three points. The Werkself were no match for FC Bayern last season after two 3-1 defeats in the Bundesliga and a 6-2 thrashing in the DFB-Pokal. Another routine victory for the Bavarians appeared likely when Robert Lewandowski tucked home on the stroke of half-time to make it 2-0, but the VAR denied the Polish striker who was ruled to have been a whisker offside. Kai Havertz had gone off injured moments earlier with Julian Baumgartlinger replacing the 19-year-old, but it turned out to be a change that swung the game. The hosts were able to win the midfield battle and were dangerous on the break, Leon Bailey’s free-kick and Kevin Volland’s close-range finish putting the hosts 2-1 up before Lucas Alario’s clincher. Mitchell Weiser faced a tough assignment against Kingsley Coman but came up with some critical tackles and interceptions. The right-back was heavily involved in attack and denied James Rodriguez what appeared a certain equaliser. 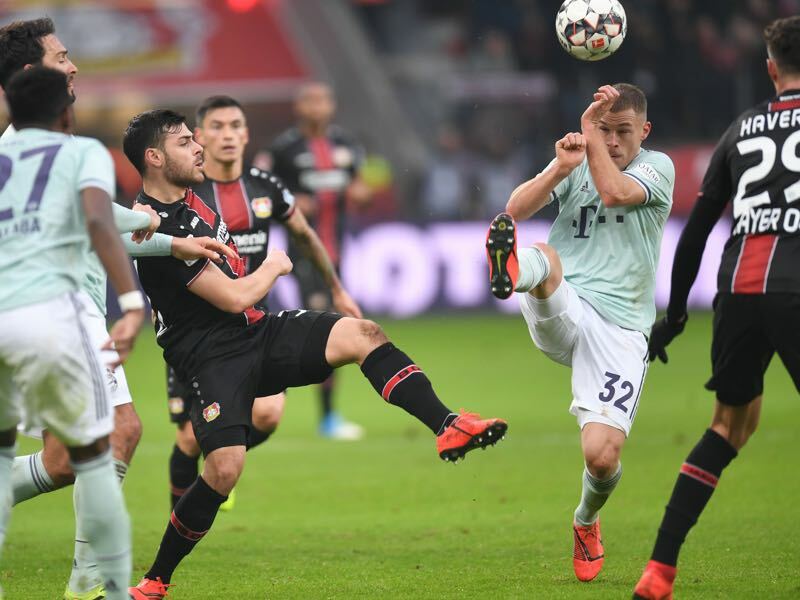 It was a game of fine margins, but Bayer Leverkusen showed resilience and took their chances to end a horrible run against the Bundesliga top six. The win puts Bosz’s side one point behind Wolfsburg in sixth spot. Bayern put their foot on the gas midway through the first half and deservedly took the lead through Leon Goretzka’s close-range header. The Bundesliga champions thought they had taken a 2-0 lead on the stroke of half-time with Robert Lewandowski tucking home. VAR had other ideas, however, ruling the striker offside in what appeared an incredibly marginal call. It was a major turning point in the match with the momentum swinging in Leverkusen’s favour following the break. Baumgartlinger’s introduction gave the hosts more stability in midfield with Julian Brandt thriving in Havertz’s vacated attacking midfield position. Brandt broke clear and set up Lucas Alario who made it 3-1 in the dying minutes, VAR intervening again before ruling Brandt onside in another marginal call. Bosz was one of the heroes in what could be a critical victory for his current and former employers, but there were a number of factors beyond his control that contributed to the win. Bayern München had won their last three matches with Thiago and Javi Martinez starting in central midfield but Thiago was ruled out late and Martinez was demoted to the bench. Joshua Kimmich was played in the holding midfield position with Leon Goretzka and James given freedom to push forward. Kimmich had a rough start after frequently getting caught on the ball and was guilty of a number of cheap turnovers that put the visitors under pressure. Goretzka tried hard and was instrumental in Bayern’s opening goal, but without Thiago and Martinez there appeared to be a lack of control, particularly once Baumgartlinger replaced Havertz. Niko Kovac’s side created most of their best opportunities on the counter-attack but were too often guilty of feeding Kingsley Coman and hoping for the best. Kingsley Coman got another start and was the go-to man in Leverkusen, providing the main outlet and getting plenty of joy early on against Mitchell Weiser and Jonathan Tah. 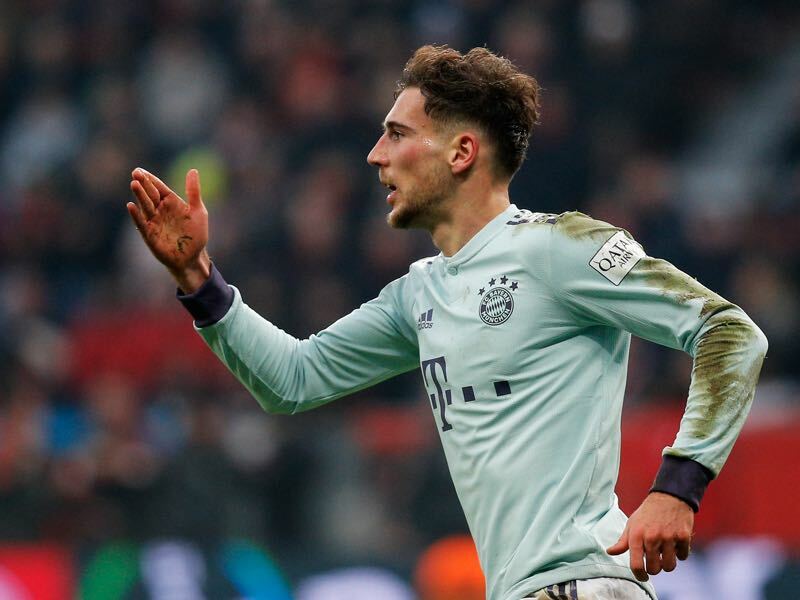 The 22-year-old was a handful for much of the game, had the most dribbles and shots for Bayern and would have been disappointed not to register an assist or score himself. Almost fully fit after a lengthy injury lay-off, Coman has every chance to nail down a first-team spot but has to start showing more end product, especially if he is going to be one of the focal points in attack. Bayern München were not at their best, were missing some key players and paid the price. It was an incredibly fine margin that prevented the Bavarians taking a 2-0 lead into the break, but bringing on Serge Gnabry, Alphonso Davies and Renato Sanches within the space of five minutes did little to alter the match. Manuel Neuer hasn’t been at his best this season but may have done better than Sven Ulreich for Volland’s goal. Rafinha playing at right-back is not an ideal situation in matches of this magnitude especially when Kimmich is fit. Kimmich is a versatile player, but he is one of the best right-backs in the world and showed this afternoon that he is far from one of the best central midfielders in the world. Bayern were weakened, vulnerable, unlucky and paid the price with their title ambitions slipping further away.